BlizzCon virtual ticket includes a Classic WoW Demo! This Blizzcon 2018 Virtual Ticket comes with a lot of goodies! 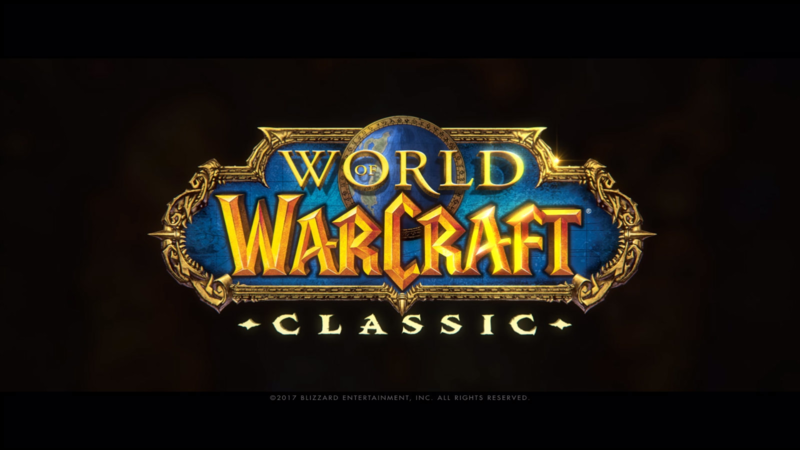 Aside from your typical video streams, skins and in game loot the $50 ticket also comes with access to World of Warcraft: Classic! After the BlizzCon opening ceremony on November 2, players will be able to download the same in-development WoW Classic Demo that will be played at Blizzcon on the show floor. Players will be able to explore and enjoy a limited questing experience through a couple of classic low level zones. One being horde, one being alliance and see how the recreation of original Azeroth is going. Once the demo begins, you will be able to play until November 8th where it will go down at 10am PST. They begin discussing Classic World of Warcraft around the 2 minute mark.